Flat tires make me humble. 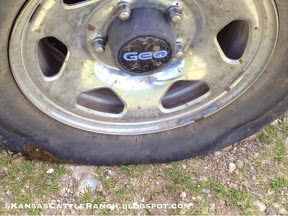 I'm pretty lucky we do live on a paved road and I don't have to deal with as many flat tires as some rural folk. But I do travel quite a few gravel roads while driving to the pastures to check cattle. 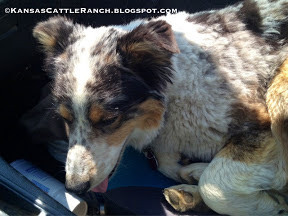 Today as I drive from pasture to pasture with my buddy Roo the cowdog along, I'm having great luck! 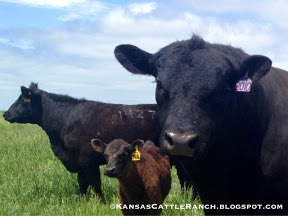 The cattle look great, the weather is beautiful and I'm gettin lots accomplished (a true measure of a successful day in my husband's eyes) when I notice one tire is low. Oh gosh. By the time I get to the pasture gate it is too low to drive on the road without ruining it. Hello, new to blogs and interested in yours but after about five sentences it cuts off and I can't expand it. What am I doing wrong? Dusty you don't say if you are looking at it on a desktop or mobile. But you should be able to click the link "Read More" and it should show the whole post. I hope it works! Let me know! !